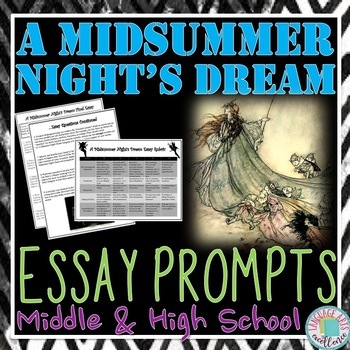 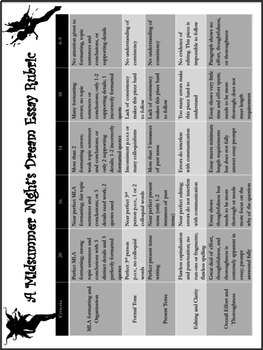 This product contains 9 thoughtful essay prompts for A Midsummer Night's Dream by William Shakespeare, all perfect for a 5 paragraph essay or a short open response for a test (I have used them in both ways). 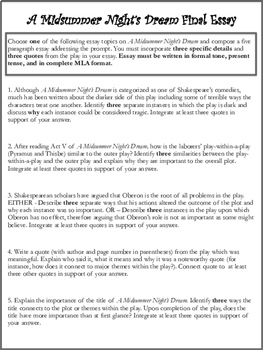 A detailed rubric is also included. 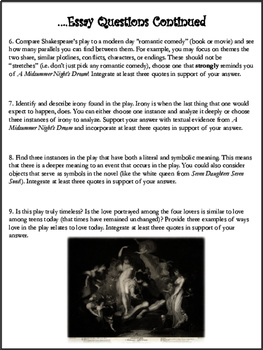 ⭐ A Midsummer Night's Dream HOT SEAT!